Bowling Green, Ky - May 4, 2010 -- Nearly 60 feet below U.S. Highway 31W in Bowling Green lies one of the Commonwealth’s best kept secrets-–a cultural, historical and geological treasure. 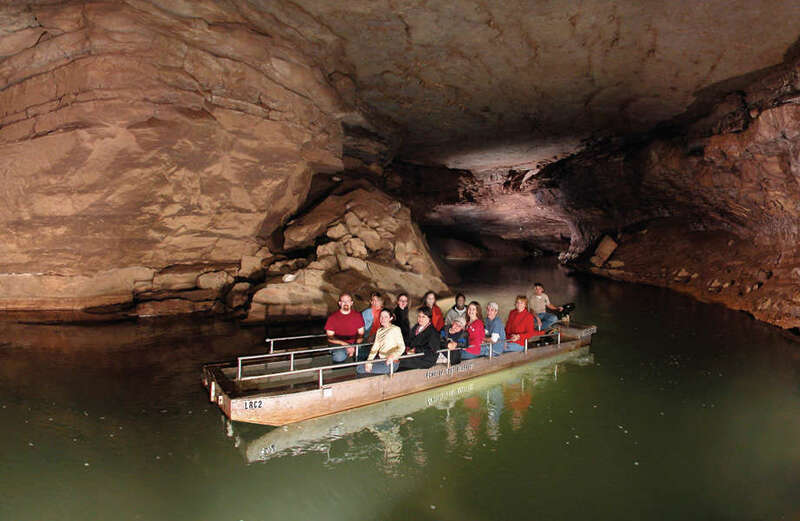 Lost River Cave and Valley, a 68-acre nature preserve, offers the outdoor enthusiast walking trails, wildlife habitats and Kentucky’s only underground boat tour. Lost River Cave’s history dates back to 8,500 B.C. when Native Americans used the cave for shelter and buried their dead in the cave’s entrance. Some of Warren County’s earliest industries were located at the cave’s entrance in the late 1700s. These included a grist mill, a saw mill, wool carding and a distillery. Lost River Cave and Valley also had an important role during the Civil War. Confederate forces used the cave as a temporary shelter in 1861. Just over a year later, the Union troops moved in and camped there before marching on to Nashville. Col. John Hunt Morgan and his crew are said to have hidden in the cave after burning the depot at South Union. Civil War Days, the living history event at Lost River Cave and Valley held each July, draws people with an interest in the war from all parts of the country. The event includes reenactments, encampment demonstrations and artillery drills. Local folklore even claims that Jesse James and his band of outlaws used the cave as a hide out. The Underground Nite Club was a gathering place for local socialites for nearly 30 years. Opened in 1933 and located at the cave’s entrance, this ballroom-type hang out came equipped with a built in bar that didn’t even require ice to keep the drinks cold. At a cool 57 degrees, the club provided a welcomed retreat from the heat of summer. Big bands and other musical talents, including Dinah Shore, frequented the Underground Nite Club during the height of its operation. Laws banning the sale of alcohol below street level finally brought the club to a close in the early 1960s. Today, the Lost River Cave Ballroom can still be reserved for special occasions and events. Lost River Cave and Valley also provides an array of wildlife. Various bat species, camelback crickets and crayfish have made themselves a home inside the cave. Although the bats move out to be closer to their food sources during the summer months, they return in full force for the winter. A scenic path leads away from the cave to the butterfly habitat. This enclosed garden is home to several of Kentucky’s native butterflies and is a seasonal attraction open from late-May through mid-September. Further down the path is a wild bird sanctuary. This quiet, wooded area is the perfect place to watch more than 130 different species of birds. One of the most popular trails is the three-mile Blue Hole Trail. There are four blue holes at Lost River Cave and Valley. The name is derived from the unique bluish color of the water due to its natural calcite concentration. Each hole has folklore associated with it. One such story says young women would look into the water with hopes of seeing the face of the man they should marry in the reflection. Lost River Cave and Valley is open year-round with the exception of Christmas, Thanksgiving and New Year’s. However, large amounts of rain can flood the cave making it impossible to give boat tours. It is suggested to check the weather in Bowling Green or call ahead if you are traveling a long distance to visit Lost River Cave.